Fourteen researchers from NASA Ames, the SETI Institute, Lockheed Martin, Caltech, and other institutes are gearing up for an exciting mission. 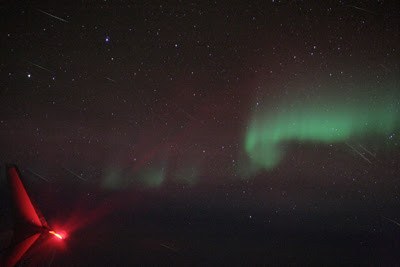 Just last week, we received the green light to observe the Quadrantid shower from a Gulfstream V aircraft. The aircraft brings us to 47,000 ft, above most of the weather. If all goes to plan, we will leave NASA Ames Research Center in the late afternoon of January 3 and fly north. While the Earth rotates and forces the radiant to move lower to the horizon, we will move to compensate by flying to higher latitudes.